FOR NEARLY FORTY years Martín Espada has been a voice for the marginalized and oppressed and a key contributor to the formation of Latinx literature. At a time when American poetry was fixated on questions of subjectivity and form, Espada focused on the real world of politics and history. As the child of a Puerto Rican father, he experienced first hand the discrimination faced by people of color. Trained as a lawyer as well as a poet, he spent years defending impoverished tenants against predatory landlords in Greater Boston. Since 1982, when his first book appeared, he has produced twelve volumes of poetry, most recently Vivas to Those Who Have Failed, as well as anthologies, translations, and collections of essays. 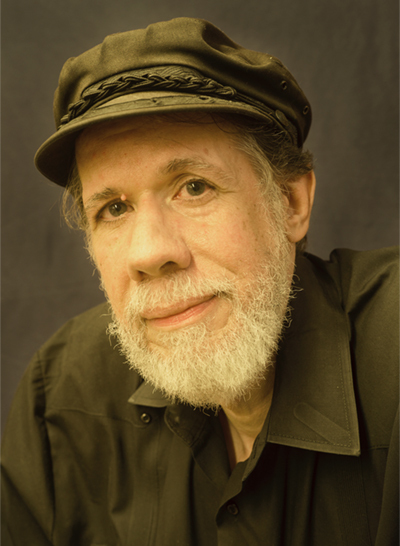 He has received numerous awards, including a 2018 Academy of American Poets Fellowship and the 2018 Ruth Lilly Poetry Prize for outstanding lifetime achievement. This interview was conducted via email during August 2018. Lee Rossi: I'd like to begin with your poem "My Name Is Espada" which appeared in your 2000 book A Mayan Astronomer in Hell's Kitchen. It reminded me of another ars poetica, Seamus Heaney's poem "Digging." But whereas Heaney's pen becomes a spade unearthing the history of his tribe, your name, which means 'sword' in Spanish, becomes a weapon. Heaney has been accused of being apolitical—he might argue otherwise—but how would you compare your attitude toward politics with Heaney's? Martín Espada: It's safe to say my politics fall somewhere to the left of Heaney's politics, as reflected in "My Name is Espada" and elsewhere. But I don't see Heaney as apolitical. Heaney was the poet who wrote, "once in a lifetime/ The longed-for tidal wave of justice/ can rise up/ And hope and history rhyme." I remember reading those words with tears in my eyes. By the way, I've written another poem, "The Meaning of the Shovel," that was also compared by a critic to "Digging"—and not favorably, either. LR: Your poetry contains frequent references to Walt Whitman. How important is he to your vision of what a poet should be? ME: Whitman is essential to my vision of what a poet should be. In the preface to the 1855 edition of Leaves of Grass, Whitman says that, "The attitude of great poets is to cheer up slaves and horrify despots." Throughout "Song of Myself," he consistently speaks for and about the despised and the damned: slaves, prisoners, thieves, and prostitutes. There is a wellspring of compassion in Whitman. Note the way, in #24, he connects advocacy for the "rights of those the others are down upon" to democracy itself. I consider myself a poet in the tradition of Whitman—a branch on the tree of Whitman, as I've said elsewhere. LR:Can you talk about Neruda's importance for you? Is it his left-wing politics? Is it the wildness of his writing? He's often characterized as a surrealist, what Robert Bly, a great champion of Spanish-language writers, has called "leaping poetry"; and in a poem of yours such as "Imagine the Angels of Bread" I hear evidence of both Neruda and surrealism. Care to comment? ME:Yes, Neruda is a great political poet, of course, but he is also a great poet of the image. Neruda's language matters to me as much as anything else. Is he a surrealist? He was definitely a surrealist in the 1920s and early 1930s; yet, he took a dramatic turn away from surrealism with the outbreak of the Spanish Civil War and the execution by the fascists of his dear friend Lorca in 1936. 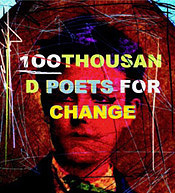 "The world has changed and my poetry has changed," he announced. See his poem, "Explico algunas cosas" ("I Explain a Few Things") where he articulates this radicalization, imploring us to "Come and see the blood/ in the streets." I admire the work of certain Spanish-language surrealists—Lorca, Vallejo, the Puerto Rican poet Clemente Soto Vélez—but I would never consider my work surrealist, nor am I significantly influenced by surrealism on an artistic level. LR:In an interview from the 1990s, you talked about the importance of the Spanish language to your identity, about how it gives you a historical depth that English does not. Can you give us an example of how that awareness functions in your writing? ME:Spanish does, indeed, provide a historical depth to my work. The Spanish names of places and people, all by themselves, absolutely resonate for me. The use of Spanish words in my English-language poems serves multiple purposes, ranging from irony to humor to anger to musicality, especially. Consider the incantatory power in the word "alabanza"—praise—in my poem of that name. LR:Personally, my Spanish is not good enough to read the Spanish versions of your poems. For those of my readers who speak and read it, can you describe the process of translating your poems into Spanish? Do you ever write directly in Spanish and then translate into English? ME:I am a bilingual poet; the two languages speak to each other within the body of the same poem. I don't translate my own work into Spanish, nor do I write poems in Spanish then translate them into English. I cooperate closely with those who do translate my work into Spanish, such as the Chilean poet Oscar Sarmiento. LR:But you do sometimes translate. When you do, what's your goal, a literal rendering of the meaning, the sound and feel of the original, or a poem in its own right? ME:I do not translate from English to Spanish; I translate from Spanish to English, when I translate at all these days. Typically, you translate into your first language. English is my first language, and Spanish is my second language. I was born and raised in Brooklyn, and there are places in Brooklyn where English is still spoken. LR:In Vivas to Those Who Have Failed, your most recent book, you write about the journalist Jim Foley and the historian Howard Zinn. How important to you are other kinds of writing besides poetry? What do you read to sustain your poetry? ME:I read a great deal of history. The work of Howard Zinn—who was also a good friend—continues to influence and inspire me. So, too, does the work of Eduardo Galeano, who wrote Memory of Fire, a brilliant three-volume history of Latin America, a work I recommend strongly for its poetic prose as well as its radical perspective. As far as dramatists go, I am a devotee of Shakespeare; I was, for a while, a member of a local Shakespearean theater company called The Shoestring Players. LR:You've written about many historical events—the 9/11 attack, the 1913 Paterson silk workers' strike, police violence, among many others. How do you know that you need to write a poem about a particular topic or event? Once you decide on a subject, what's your process? How long does it take to complete? ME:For me, the writing of poems is a compulsion. Many poems arise from that sense of instinctive necessity; they call out to be written. There is often an ethical imperative, as with "How We Could Have Lived or Died This Way," the poem you mention about police violence. In some cases, the poems are responses to requests or solicitations: "Vivas to Those Who Have Failed," the sonnet cycle about the Paterson Silk Strike, came about because Maria Mazziotti Gillan solicited some work for an anthology of Paterson poems. I write to deadline more often than you might expect. As for the time it takes: a poem could take anywhere from a few days to a few weeks to a few years for me to complete. LR:What about "Alabanza," which is an elegy dedicated to the restaurant workers killed in the 9/11 attack. How did that come about? ME:My friend, the Lincoln Brigade veteran and peace activist Abe Osheroff, suggested to me that I should write about some of the people trapped inside the towers. I took that advice to heart, but I also had to find a part that could stand for the whole of that catastrophe. The BBC was the first to report on undocumented immigrant workers at the Windows on the World restaurant, who vanished without a trace after 9/11. Their survivors could not even claim benefits. I followed the story as it was picked up elsewhere, and broadened to include other immigrant workers who were part of Hotel Employees and Restaurant Employees (HERE) Local 100 at Windows. Six months later, on a train to Vermont, I wrote the first draft of "Alabanza," driven by the impulse to make the invisible visible, a mission of mine as a poet. I am very proud of the fact that I ultimately received a letter from the union itself, thanking me for what they called "a unique form of solidarity." LR:What about your more personal poems? Is the process any different? Can you compare the origin and development of "Alabanza" with the creative process of "El Moriviví," which is a long, complex elegy for your father. ME:Yes, the process is different for more personal poems. I write poems for occasions. I write love poems for birthdays or anniversaries; likewise, I write elegies for memorials. I once spoke at six memorials within a twelve-month period. When my father died in February 2014, I knew I had to speak and read a poem at his memorial service in Brooklyn. I sequestered myself in northern Vermont for a week and wrote "El Moriviví." That's the name, in Puerto Rican Spanish, for the mimosa pudica. Pudica is the Latin for "bashful" or "shrinking," a reference to the plant's shrinking reaction to contact, the way it opens to a finger's touch, then closes again. This became the central metaphor for the many lives, many deaths and many rebirths of my father, Frank Espada. LR:I really enjoy your sense of humor, and the fact that besides intensely serious poems, you write mischievous and whimsical pieces, pieces about baseball and amateur theatricals, pieces which might seem slight when compared to a poem like "The River Will Not Testify," which concerns the 1676 massacre of Native Americans by early European settlers. When you put together a book, are you looking for that kind of variety? Do you worry that readers looking for the "real" Martín Espada might be disappointed? ME:Humor is deceptively difficult to do well, like playing centerfield. (It looks easy till the ball comes down.) The fact that a poem is humorous does not make it "slight"; in fact, it might be a complex work. Not every poem can, or should, address a massacre. The "real" Martín Espada is a diverse poet, "mischievous and whimsical," as you say. LR:I'd also like to ask about the stylistic changes I noticed in your writing. It seems to me that some of your earlier poems (pre-2000) were more interested in poetic formalisms (forms like the villanelle, the sonnet, devices like repetition, the braiding of key words, etc.) I don't notice as much of that in the work since 2000. The newer poems focus on telling stories as directly and powerfully as possible. Do you agree that there's been that kind of change? ME:I was never terribly preoccupied with form. I wrote a couple of villanelles years ago; I've written a few ghazals; I've actually written more sonnets in recent years. Since the start, I favored devices such as anaphora—repetition in general—and still do. If anything, my work has evolved in the sense of becoming more precise, more exact, in terms of diction, in terms of the image. And yes, I'm still telling stories, striving for clarity without sacrificing complexity. LR:You've been part of the scene for a long time. Your first book The Immigrant Iceboy's Bolero appeared in 1982. Can you tell us something about the changes you've seen in American poetry during your career. ME:When I was growing up and going to school, the corpus we now call Latino (or Latinx) literature did not exist in this country. In the projects of Brooklyn, I would never have dreamed of saying, "I want to be a poet one day." When my first book was published, it had been less than ten years since the appearance of Puerto Rican Obituary by Pedro Pietri or The Elements of San Joaquín by Gary Soto—poets, writing in English or bilingually about our lives, who held open the door that I walked through. Now, there are too many powerful, energetic, courageous poets in my community to name here. LR:It seems to me that we're living in a time when poets from oppressed and marginalized communities are finally being recognized. Nowadays we have lots of women poets, LGBTQ poets, and poets of color who are finally getting the attention they deserve. Do you think this is just another literary fad, or does it signify an important shift in the culture? ME:The key word is "finally." There is still some way to go before poets of color in general, and Puerto Rican poets in particular, finally get the due that is long overdue. Having said that, I will also say that there is a change in the wind. There is definitely a shift in the culture. Progress is not linear, but I don't think we're turning back in this regard. LR:When you started writing, it seemed that so-called mainstream poetry had very little interest in politics, and for a long time it seemed that there were just a few of you (Amiri Baraka, Lucille Clifton, Adrienne Rich, and relatively few others) writing to de-center the dominant white culture. Now many more poets are thinking and writing politically. In a sense, you've been a harbinger of the current flowering of political poetry. Do you think this is just a temporary response to the current political emergency? How do you view your personal contribution to the contemporary poetic conversation? ME:There is a long tradition of political poetry in this country. It didn't begin with the election of Trump. It didn't begin with the election of Nixon, the war in Vietnam, or the social movements of the 1960s. There was a strong presence of political poets during the Depression, known as the "proletarian poets," obliterated from memory during the era of McCarthyism. The tradition of political poetry in this country goes back to the mid-nineteenth century with Whitman, and continued in the Whitman tradition with poets like Carl Sandburg, Edgar Lee Masters and Langston Hughes. Even Edna St. Vincent Millay, typically defined as a writer of love sonnets, was intensely political. 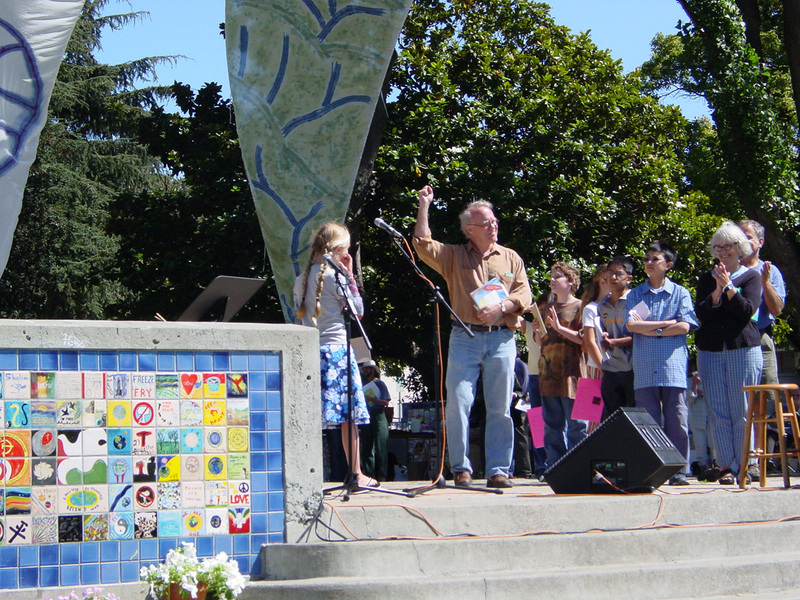 Personally, I've been writing political poems since my first book was published more than thirty-five years ago. Trump is nothing new. Demagogues rise and fall, and poets have something to do with pushing over the statues. Maybe that's my contribution to the conversation. LR:Can you reflect for a moment on the current political crisis? Trump has decided that he will not be President of all the American people, but only of a chosen few, and that he will try to make the lives of all the others as painful as he can. How worried are you that the U.S. will return to its racist, sexist, classist beginnings? What can poets do to counter the right's reactionary backwash against the Obama Presidency? ME:I don't really believe the U.S. ever left its "racist, sexist, classist" beginnings. That shark's fin was sticking out of the water the whole time. As for countering the right: To paraphrase the great political poet of Nicaragua, Ernesto Cardenal, the first obligation of the poet is to write well. We won't persuade anyone of anything, intellectually or emotionally, by writing badly. Beyond that, poets should organize: readings, rallies, and workshops, in the community as well as on campus. Go where poetry is not expected to go. Make use of social media, which is beyond me personally as a Luddite. Remind people that there was a time when poets and poetry were considered indispensable to social movements and social change. We're still here. LR:A lot of younger poets see poetry as a source of personal and political power. They have day jobs organizing in their communities or teaching poetry in the schools. More than a few work as motivational speakers. How do you view these attempts to bring poetry into the larger culture? ME:I'm in favor of it, of course. Poetry is also an oral art form, an art form of living performance. And the younger generation will carry it on. LR:What advice do you give the young writers who come into your classes? Is the advice different based on their race or gender? ME:I wish I could summarize all the advice I give to young writers in my classes. If the student writes about race or gender—or is struggling with how to write about race or gender—then, of course, I will address those issues with that student. Oftentimes, it begins with recommending poets to read, poets who have blazed the trail that student wants to walk. LR:I enjoyed something you said in a recent interview, speaking about the students in your classroom: "We're a community, all trying to accomplish the same thing. We're rooting for each other." I remember my own trip through graduate school. I was working on a degree in English literature with the hope that I might someday teach in college. The culture there was very individualistic; all the graduate students were in competition with one another, trying to publish as much as they could, angling for the best jobs at the most prestigious universities. Do you think the atmosphere in writing programs is different from literature programs? ME:In short, I don't think the atmosphere in most writing programs is different from the atmosphere in most literature programs. There is increasing competition for shrinking resources—and, as employment opportunity in education diminishes, the cost of education skyrockets. That doesn't mean that the students in these programs are bad people—just desperate for jobs and deeply in debt. LR:What are you working on currently? Do you know when your next book of poetry will be out? Do you have a title? ME:I have been writing quite a bit of poetry in the last twelve months or so. I published a poem called "Letter to My Father," about Hurricane María and its aftermath in Puerto Rico, in the March issue of Poetry magazine. I have six more poems—including an anti-Trump jeremiad—in the November issue of Poetry, the "portfolio" that showcases the winner of the Ruth Lilly Poetry Prize. I have about half a manuscript of new poems, but no title yet. We'll see. LR:Thanks, Martín, for the opportunity to ask these questions. I'm sure the readers of Poetry Flash will find your answers as interesting and compelling as I have. Lee Rossi's most recent poetry book is Wheelchair Samurai. Among his previous collections is Ghost Diary. A staff reviewer and interviewer for the online magazine Pedestal, he is a Poetry Flash contributing editor and a member of the Northern California Book Reviewers; his poetry, reviews, and interviews have appeared in The Beloit Poetry Journal, Poetry East, Chelsea, and elsewhere. He lives in San Carlos, California.